The concept of your personal brand is a novel one, you are not a blue chip company or a budding startup, you’re an individual. Job hunting means you have to market your brand to prospective employers, set yourself apart from the masses. Your personal brand should leave a lasting impression on your audience. 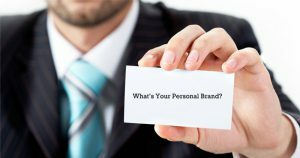 When considering your personal brand you need to start with a strategy. The strategy is defined by the core tactical underpinning, who are you and what is your value proposition? Your strategy needs to differentiate you from everyone in the market, what is your USP (unique selling point) and what makes you ‘you’! Your Personal Brand Calling C.A.R.D. Consistency: Make sure you keep the same tone of voice and message throughout all your personal marketing material including resumes, cover letters, Linkedin and other platforms. Authenticity: Be as genuine and accurate as possible across all your material. Relevance: Be specific to you and your target audience. Differentiation: Be unique with you value proposition and stand out from the crowd. Your story depicts who you are, your strengths, and what you have done thus far and what you plan for your future. This is not an epic novel about your life history. Cherry pick the important points. A good place to start is to produce your “elevator pitch” for your LinkedIn or Twitter profiles. This requires you to cherry pick the important points and determine your central message. What you leave out is often just as important as what you leave in. Tagged under: linkedin,	personal brand,	relevance,	USP,	your story. Business Relationships: Why You Need Strong Ones!